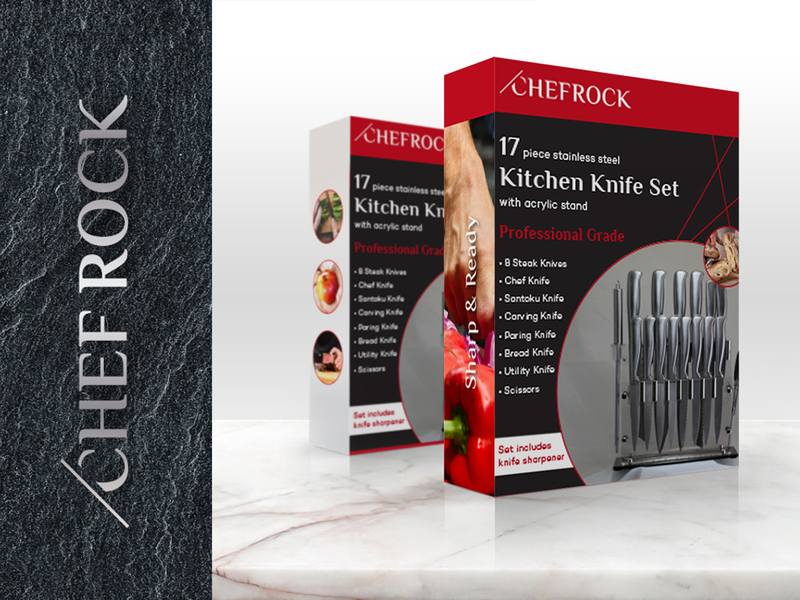 Checkfrock manufactures high-end stainless steel culinary tools, including top model chef knives. These products are for private and commercial use, and they needed a marketing concept that would illustrate both. The logo and packaging we designed for them is trendy and eye-catching, while maintaining the professional image their company is known for. See the finished products below.